If you are looking for a relaxing time on a beach with a gentle stroll in a forest this safari is not for you. If you want an active holiday with lots of hiking and adventure then this is it! Madagascar is so much more. We will show you fantastic scenery, you will hike in jungles and deserts with hundreds of species of fauna and flora that are endemic to the island. With a fascinating culture and delicious cuisine Madagascar is a fusion of the whole history of the Malagasy people and completely unique to anywhere else in the world. Dates and itineraries shown are indicative only and subject to change. 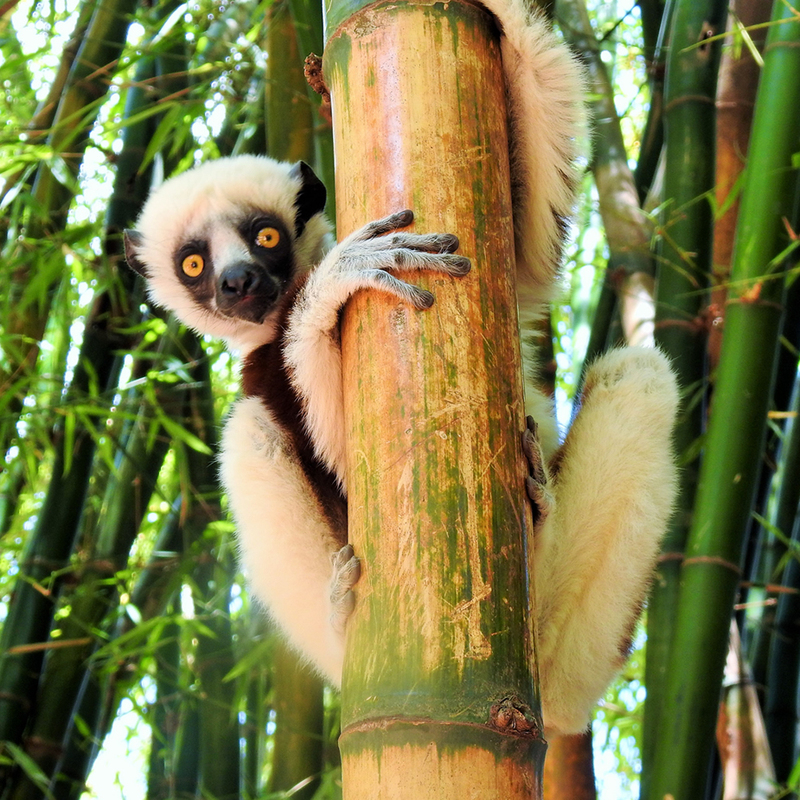 Download our Discover Madagascar tour brochure (1.11MB) for full details. Arrival at Antananarivo, the capital of Madagascar, allowing time for introductions and orientation, and final preparations before commencing our safari tour. We depart from Antananarivo after breakfast, stopping to buy a few supplies along the way. Once out of Antananarivo the drive is very scenic with paddy fields and beautiful Malagasy architecture. We drive through the highlands and down to the little town of Miandrivazo. It is here we spend the night in bungalows up above the town with a panoramic view of the town and Tsiribihina River. Following breakfast we drive to the river and start our 2-day traditional pirogue journey on our way to the Tsingy de Bemaraha National Park. It is not easy to get to the remote region of the Tsingy and going by river in a pirogue is one of the easier ways of travelling the country. The Tsiribihina River is a slow sluggish river that passes through scenic gorges and villages. At night we camp over on sandy beaches where a delicious dinner is cooked for us under the stars on a coal fire. During the day it is very relaxing as we paddle slowly, bird-watching and admiring the scenic views, stopping at a waterfall of crystal clear water for a swim along the way. At midday we end our river trip and meet back with our vehicle at mid-afternoon and drive to Sur de Tsiribihina, the delta where the river meets the sea, we spend the night here in a small motel. We leave Sur de Tsiribihina and drive to the edge of the Tsingy de Bemaraha National Park where we will stay the next two nights. It is an interesting drive through quite rough country with ferry river crossings and we stop for a picnic lunch along the way. That afternoon we will meet our local guide for the hike the next day and he will give us a briefing of what to expect. We leave our lodge early and drive into the Tsingy de Bemaraha National Park to start our hike. We spend the morning exploring. The hiking is strenuous and not for the feint hearted, involving some climbing with harnesses and crossing rope bridges. It is, however, very safe and the rewards from the scenery makes it worthwhile. The rock formation is out of this world, limestone rock eroded by nature into an impenetrable landscape of forest and colossal solid spiky stalagmites, known as tsingy. 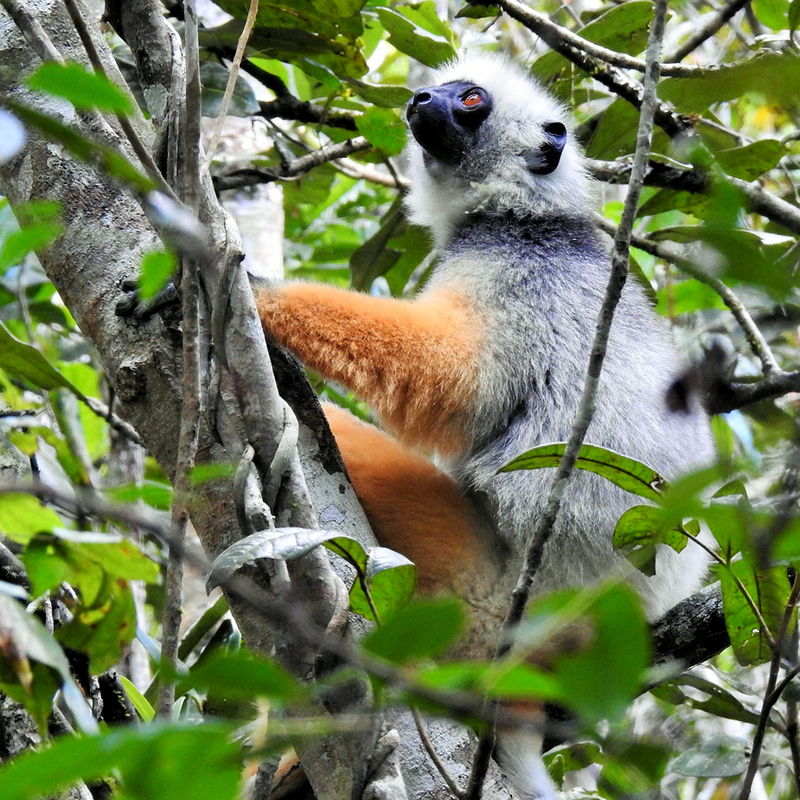 Part of the hike also takes you through primary forest where we should be lucky enough to see the rare and endemic Von der Decken’s sifaka (Propithecus deckenii), a relative of the lemur, along with a wealth of bird-life and diversity of reptiles and other wildlife. The park is a UNESCO World Heritage Site and early 90% of the plants and animals are endemic to Madagascar, and 45% are uniquely endemic to the region around the park. We return to our lodging for lunch. That afternoon we will visit the ‘small tsingy’. This is still beautiful on a much smaller scale and an easier hike. Today we take a slow drive back to Sur de Tsiribihina where we have a relaxing lunch and then start driving towards the Kirindy forest reserve where we will spend the night. The Kirindy Forest is home to the largest predator on the island, the fossa (Cryptoprocta ferox). The forest is also home to a number of endemic birds, tortoises and we will also have a chance to see the very shy tenrec. We spend the morning exploring the forest and after lunch we take a slow drive to the picturesque Alle de Baobabs for sunset. These dense stands of baobab trees are so unique in shape and form they look like an artist’s imaginative creation and the sunset only enhances the magic of the scene. We arrive in the coastal town of Morondava early evening and spend the night at Chez Maggie, well known for their excellent restaurant. Following breakfast we have an early start and drive back towards Central highlands to Ansirabe. Ansirabe is a pretty little town flooded with pousse pousses (bicycle taxi) and road side food markets. 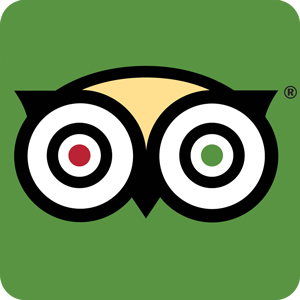 We spend the night at the aptly named Garden Lodge, a pretty little lodge with lush gardens and another good restaurant. Following breakfast we make an early start to Ranomafana National Park. This park is pristine primary rainforest with monster-sized tree ferns, pandanus and travellers palms. 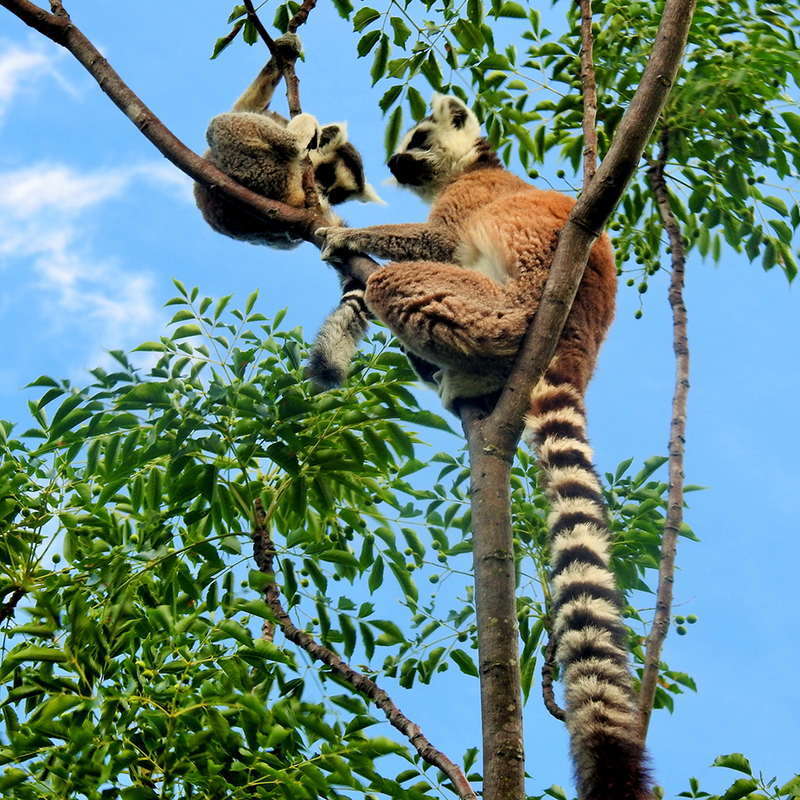 The park is well known for its diversity of wildlife including the two very rare species of bamboo lemurs, 100 bird species and also a plethora of reptiles and amphibians. We spend the night in a little lodge close to the entrance of the park. We spend the morning hiking the park. Following lunch we leave and drive to Ranohira, the gateway to the Isalo National Park. We spend the night at Chez Alice with bungalows with a spectacular view of the Isalo Mountains in front of us. The Isalo National Park is made up of huge canyons and sculptured rocks with spring fed waterfalls and clear pools to swim in along with valleys filled with lush vegetation. Although wildlife is not the most obvious feature of this beautiful park there are six different lemurs and over 50 species of birds. It is here that we will set off for a three-day backpack giving us a chance to get deeper into the park and also a chance to see some of the more rare nocturnal species. We return to Chez Alice late afternoon on the third day. Following breakfast we drive north to Ambalavao the gateway to Andringitra National Park. We will arrive about midday and that afternoon we will go and do a short walk in the Anja Community Reserve. This little park is a community project protecting lemurs. It is made up of a forest and huge boulders and home to over 400 ring-tailed lemurs. We stay overnight in at Residence du Betsileo. The rooms there are simple and the atmosphere and restaurant are great. We set off early for our 3-day hike in Andringitra National Park. This park is a mix of high plateaus, meadows, water falls, caves, rocky peaks and some primary rain forest. A huge array of fauna and flora including some orchids which should still be in flower and six different species of lemur. As part of our 4-day hike to the top of Pic Boby – the highest accessible peak in Madagascar (2,658 m). At the end of our hike in Andringitra we drive on to Ambositra and spend the night in a return again to Albalavao for the night. We stay in a very charming typically traditional Malagasy house. Today an early start after breakfast we head back through to Antanarivo branching off to the West to Park National d’Andasibe. Here we spend the next two nights in a lodge on the edge of the jungle. The next morning we wake up to the amazing dawn echoes of the Indri (Indri indri), the largest of Madagascar’s lemurs, communicating to each other as a way of marking their territory in a sound which is hard to explain - a wailing cry echoing a sound that crosses between a whale and a hyena. We spend the morning hiking the forest in search of the Indri and other lemurs along the way. That afternoon we return to Antananarivo and the end of the trip. We take a slow drive back stopping at a small park, somewhat managed, however it has a huge selection of chameleons, lizards, geckos and frogs. We expect to arrive back in Antanarivo mid-afternoon. Tour Ends... view our full gallery of images here. 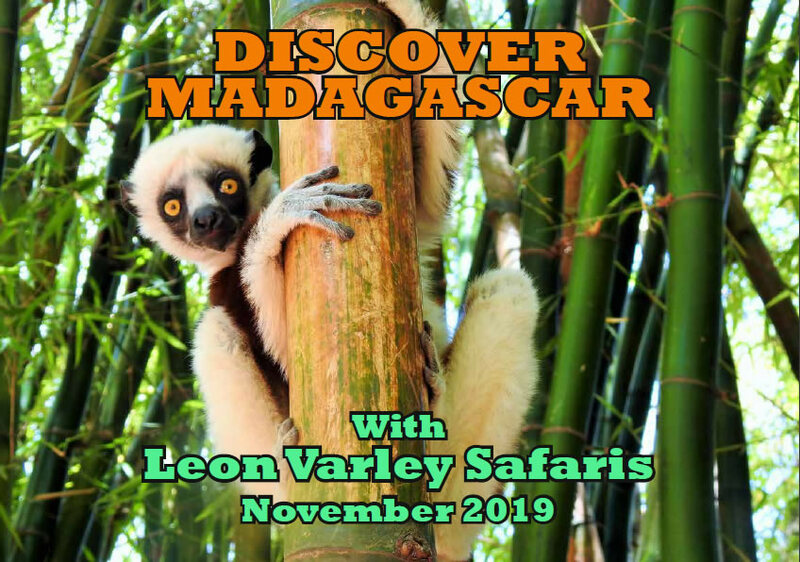 Interested in exploring Madagascar or another walking safari with Leon? Contact us for more information.